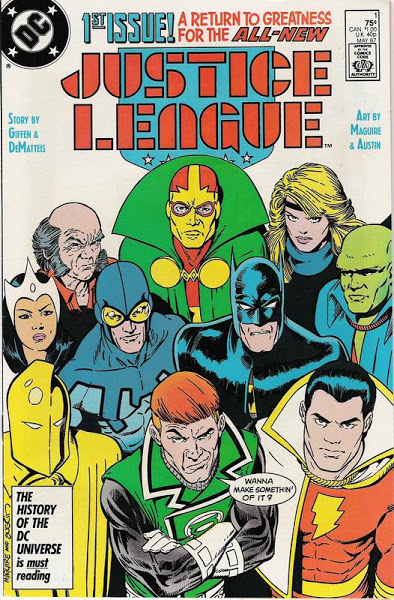 Sure, it makes almost no sense to drop a homage to a 26-year-old superhero comic onto a 2013-released comic ostensibly aimed at kids, but I love the way it copies both the visual layout and the thematic layout – every character on the cover is on Hasbro’s “B” list, at best, just like the lovable scamps that got shoved into the post-Legends Justice League. I can actually only name seven out of ten of them, which brings me a very specific sort of shame. I guess to be 100% accurate, there should be a Batman equivalent from the “A” list, but I’ll forgive them that. 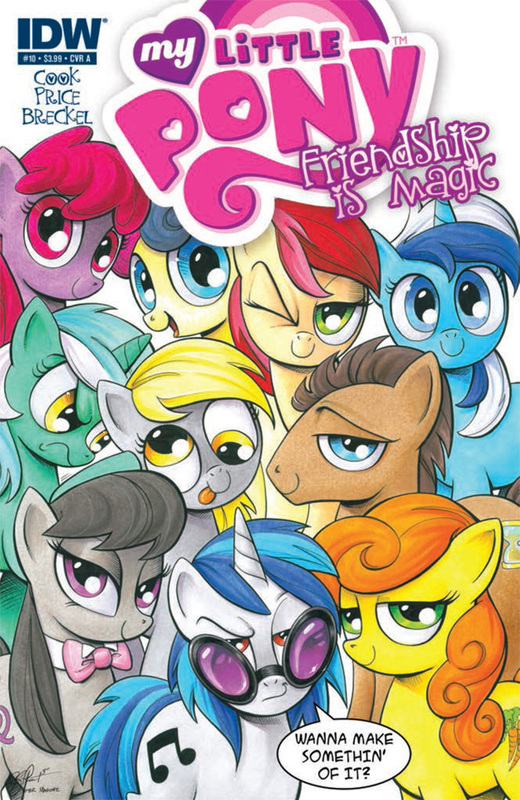 The MLP comic is pretty much the only comic I’m actually buying these days, albeit in digital form from Comixology. Occasionally I will get nostalgic and try to figure out what’s up with DC and my head starts hurting. This entry was posted in comics, mlp:fim. Bookmark the permalink.